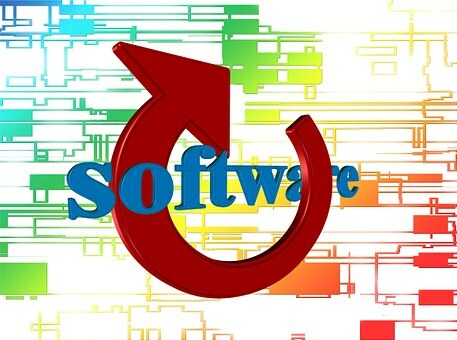 PC Software » PC Software – What do I need? PC Software – What do I need? Normally the term “PC” would be applied to a computer which runs a Microsoft operating system while an Apple computer would be referred to as a “Mac” but here we are using the term “PC” in the generic way meaning “personal computer”. When you buy a new PC it will normally be pre-installed with the latest version of either Windows (Microsoft) or iOS (Apple). If you don’t want the latest version, you will usually have to acquire and/or install an earlier one yourself. This is not advisable for the amateur and could invalidate the warranty of your PC. Having a browser will enable you to download other programs, either free or paid, from the internet. A Microsoft computer will be pre-installed with Microsoft Edge (the successor to Internet Explorer) and an Apple computer will have Safari but you may prefer Google’s Chrome or Mozilla’s Firefox. They all do pretty much the same so it really is down to personal choice. As soon as you have chosen your browser, you need to download anti-virus/anti-malware software if you have a Microsoft computer (Apple claim that their operating system is so robust, you won’t need one). Be warned, many computers come pre-installed with a premium security software but while there may be a free trial, you will have to pay for this eventually. There are many free security programs online, Avast being just one of them. If you wish, you can upgrade from the free version but you don’t need to. Activate your Windows firewall if your security software doesn’t include one. Free software such as CCleaner will get rid of residual registry entries, broken shortcuts, internet cache and much else, all of which helps to keep your PC working as well as possible. Most people will need some sort of word processing/document creation software. I like MS Word but there is free software out there that will do much the same thing. If you keep any sort of accounts then a spreadsheet software is essential. Many people transmit or upload documents in PDF format to prevent unauthorized changes being made so you will need software which can read PDF. Adobe is the best known of these and is free to download. Windows PCs usually have a media player installed which you will need to watch movies and play music but you may prefer iTunes or many of the other options available online. VLC is a reputable one. If you want to manipulate images or improve photos then you’ll need an image editor. Probably the best known one is PhotoShop but it is expensive so try Paint – it’s free. There are all sorts of other useful pieces of PC software available online, both free and paid but these are the basics that you will need. Don't have Windows 10? Order it now here. Copyright © 2017 PC Software - All rights reserved.